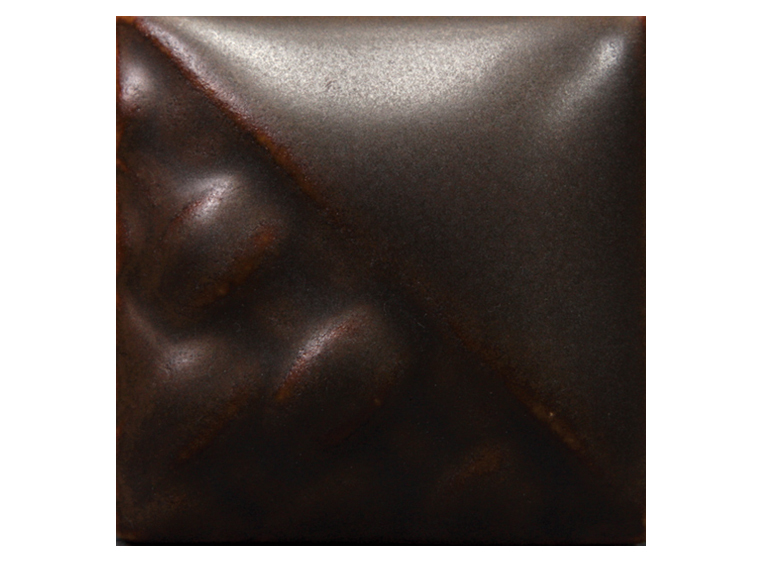 Mayco's Black Walnut Matte Stoneware glaze fires to a beautiful dark brown hue with a matte texture! Better add this cool glaze to your cart now! Thicker glaze application will result in greater opacity; adjust your applications, methods to achieve the desired opacity. Mayco’s Stoneware glaze assortment offers a variety of finishes, textures and endless possibilities for glaze combinations. Designed to perform from cones 5-10, in oxidation or reduction firing processes on stoneware clay body of choice. Artists will appreciate the consistency of performance and control of movement. Painters will find amazing glaze combinations to expand the creative possibilities in the studio. You can incorporate and combine other Mayco products with Stoneware glazes. Use Stroke and Coat® with Stoneware glazes for an intense splash of color or add designs for unique results! Click here to view an array Stoneware glaze combinations that you will absolutely love! Use Mayco Stoneware Glazes on most midrange clay bodies. These glazes are intended for use at cone range 5-6 but are also stable and pleasing in firings up to cone 10. Mayco Stoneware glazes are food safe if used according to the manufacturer's directions. Please read link below for further information about these glazes. Click here for further important information on Mayco Stoneware glazes.